XIUS IoT Expertise – How we excel at being unique! "Internet of Things" has been gaining momentum worldwide with over 30 billion devices be connected worldwide by 2020. These IoT devices and sensors cover most all industry verticals. XIUS is a solutions provider for IoT and we bring to the table a wide range of services and solutions using our rich industry experience, which has spanned for over 25 years. IoT now days comes in different flavors with different naming conventions and variants. XIUS essentially has defined a common framework to support these multiple IoT variants. XIUS, with its expertise in telecom, brings smart telecom flavors for the IoT verticals. XIUS has its own flagship product, X-Connect , which provides seamless smart connectivity for mobility devices. XIUS also brings in connectivity with leading tier-1 carriers in North America and Latam for data driven devices. We also bring some smartness into wholesale connectivity as well as giving our enterprise customers an extra yard of savings when it comes to per-device cost. We provide the entire telecom side of IoT on our exclusive IoT platform. By leveraging our smart connectivity modules, IoT enterprise customers can offload all of their needed telecom tasks to XIUS and focus more on the core IoT automation. We support the industry segments below for end-to-end IoT solutions. A unique solution for mobility devices (devices that travel across country borders). For radio module enabled smart tags, logistics devices, service equipment and more. XIUS Core Telco infrastructure is connected to three tier-1 carriers in Mexico (Deep packet core integration, platform has PGW/DPI/PCRF/OCS all integrated into the carrier’s network). Apart from the technology strength, XIUS provide user with the local data rates and all related services while traveling across borders. X-Connect intelligence lies in the SoN module for providing seamless connectivity when traveling from one network to the other. XIUS, along with partnered vendors, offers X-Fleet which defines a new dimension in fleet management services. X-Fleet solution is aimed at improving and streamlining the efficiency of the Fleet operations through industry standard best practices. XIUS and its partnered vendors offer an extensive asset tracking solution for enterprise clients big and small. XIUS brings some of the best industry standard sensors along with a data capture gateway for capturing a variety of localized information. This data is not limited to finding the location of assets, but it also captures varies other parameters of the asset being tracked. 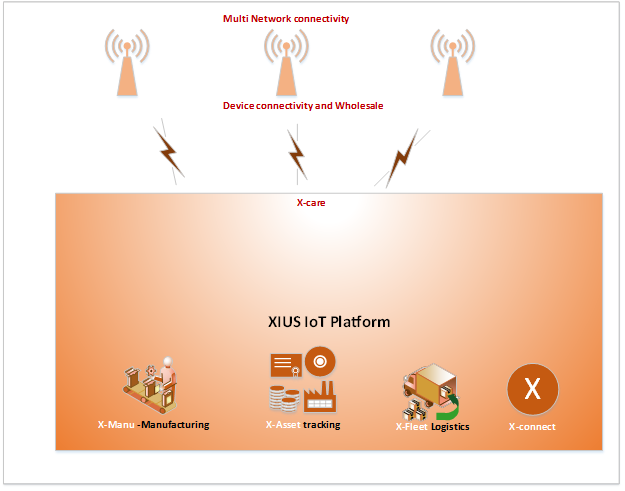 XIUS has an asset management IoT Platform which manages all the above proprietary sensors. These sensors are connected to a single integrated data log gateway for end-to-end data management and analytics. Other applications of these sensors also include monitoring a container door opening and closing, ambient light monitoring for tamper detection plus many other configurable options. XIUS X-Asset Tracking Solution can be used for tracking all different kinds of assets using the unique sensors adapted and suited to specific business needs. 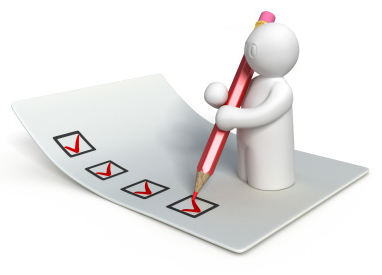 All sensors comply to the various industry standard compliances. XIUS, along with partnered vendors, are proud to offer X-Manu, which provides flexible IoT solutions for the manufacturing industry. X-Manu solutions goal is to add value to the manufacturing process by introducing a monitoring tool and/or smart sensors. These tools will sit in the production environment to streamline the productivity of the manufacturing business through industry standard best practices. X-Care is a true multi-tenant platform for managing various enterprises and their IoT applications. X-Care functions as a smart care center for the IoT Enterprise customer and their IoT applications. This is the main control panel for managing the connectivity for all your IoT devices. We’ve created X-Care to be your complete management center to control SIM management, inventory, activation, and much more. Listed below are some of the supported services as part of your X-Care Device Management Platform. Dynamic Machine Learning based smart data plan provisioning based on actual data usage over time. Ready to go infrastructure available with capacity to support any size of fleet devices, all offered in a cloud model. Enterprise clients can perform controlled testing of their devices in our IoT Test Lab environments as well as working towards receiving wireless network (tier-1) certification. XIUS facilitates the services listed below as part of our devices testing and certification program.